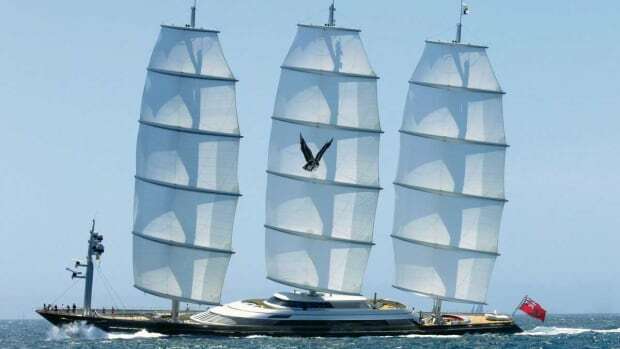 This ultra-modern three-mast schooner with a steel hull, rotating carbon masts and an innovative DynaRig sail design, is unmistakable for any other yacht. 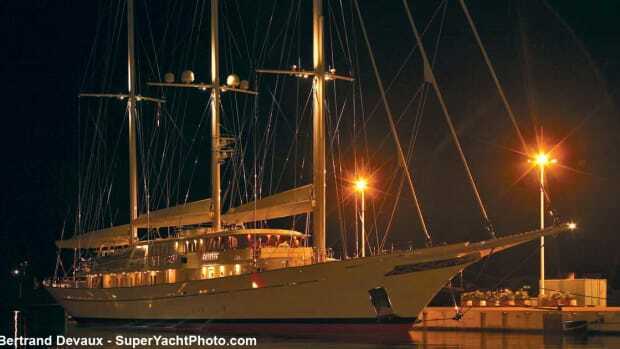 Commissioning owner Tom Perkins worked closely with Perini Navi, Dijkstra & Partners and interior designer Ken Freivokh, and wrote extensively about the experience before deciding to sell the yacht many consider his “brainchild”. Four years of work and the combined talents of designer Pieter Beeldsnijder (who did the exterior styling and interior design, with a décor by Rebecca Bradley), naval architects Gerard Dijkstra & Partners and Royal Huisman, as well as hardware and sailing rig by Royal Huisman’s subsidiary Rondal went into creating this sophisticated yet classic three-mast schooner bearing the name of the Goddess of Wisdom.